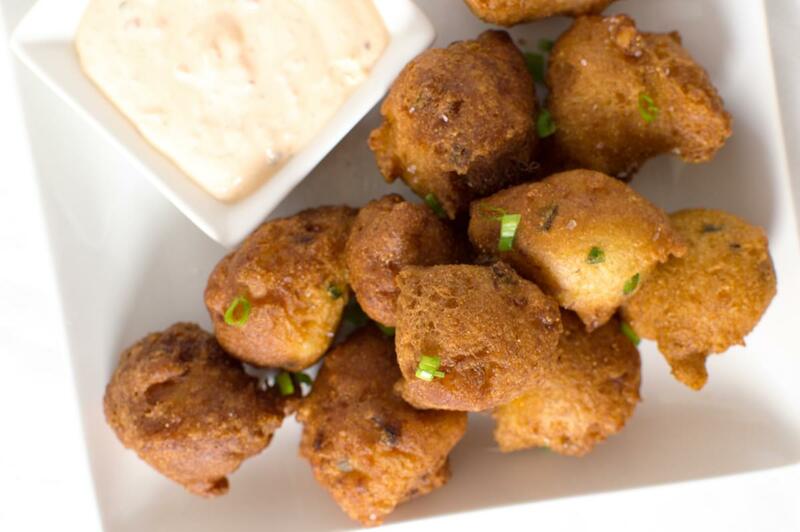 I feel like its been entirely too long since I last posted, but I swear I have an excuse — more about that at the end of the post, but for now… these HUSHPUPPIES! 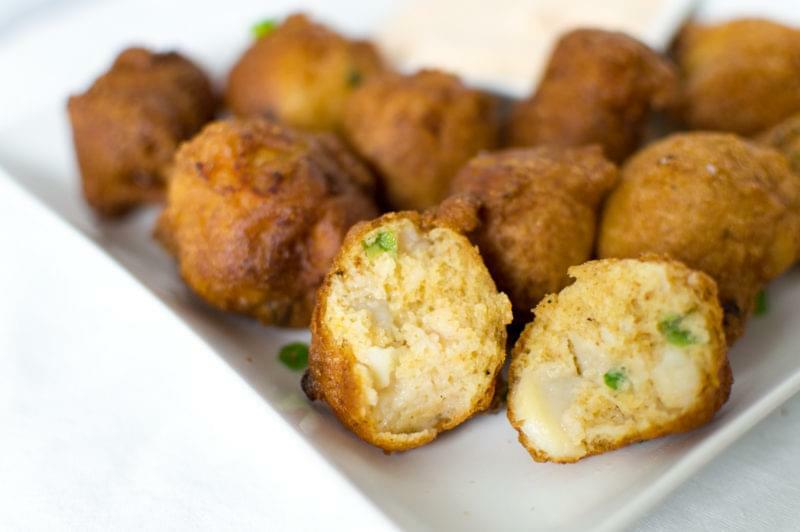 I am, and have grown up with hushpuppies all of my life… and I’ve loved them all my life! Once I’ve gotten older though, I’ve grown to love the more unique versions. 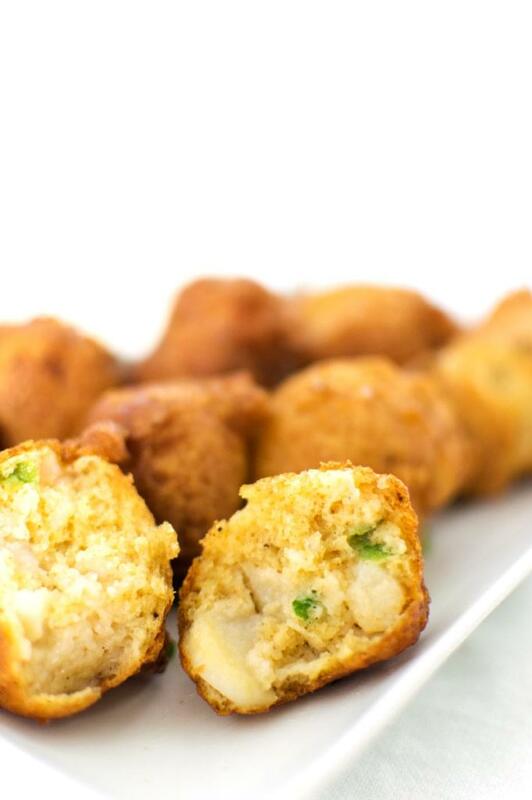 I love the ones with jalapenos or crab stuffed inside. 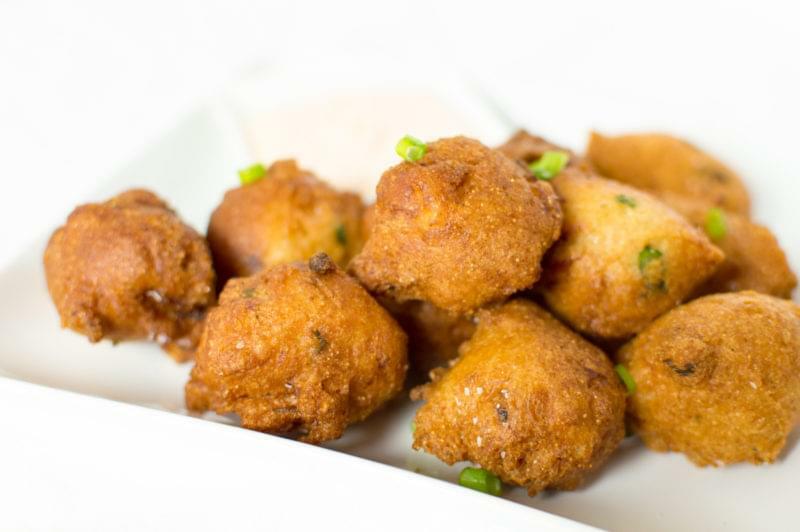 Now, of you’re not southern or from the US, you may not have a single clue as to what I’m talking about when I say hushpuppy.. or you may have a different name for these things. 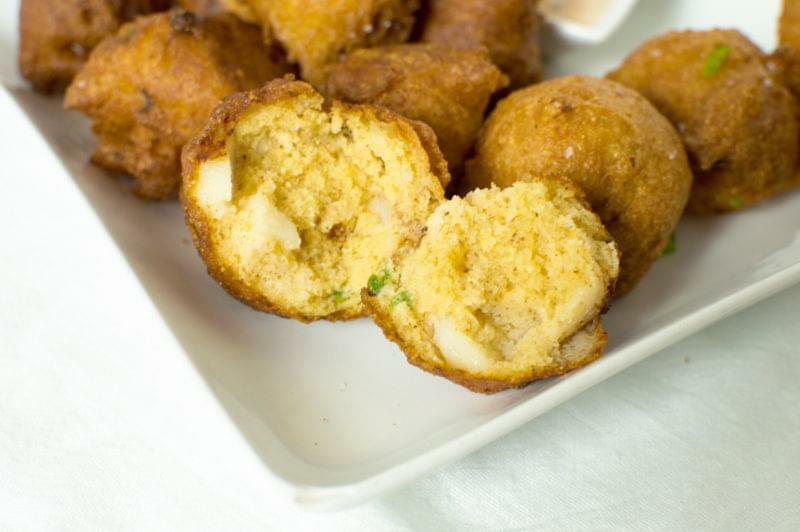 It is basically a fried ball of cornmeal batter. I like to use the base recipe from allrecipes.com with cornmeal, buttermilk, and flour – because it makes a perfect light batter. Once the batter is mixed, you scoop it out with a melon baller or tablespoon and drop it in some hot oil until they’re fried golden brown. Here, I’ve added some shrimp and scallops from my local seafood shop, and some green onions for some color and light onion flavor. I hope you enjoy! Now for my excuse about the lull in blogging… I’ve been blogging somewhere else :-O ! I know, I know… but I’ve discovered a little thing called bullet journaling, and I’ve decided to share all I know by making a website about it! You can view the site here or find my Instagram here (@bulleteverything). I initially started the bullet journal to keep up with all of my food-blogging and life to-do’s.. but I’ve turned the website into more of the priority for the last month or so, and hopefully can find a good balance between blogs soon.